Need a roof? We've got you covered. A building’s structure and durability counts on a solid and secure roof. You can rest assured that Crane Roofing will provide you with a water-tight roof over your head. Our decades of experience as a St. Charles and St. Louis roofing company let you sleep soundly through all kinds of weather knowing your home is protected. The Midwest weather takes a toll on roofs. Damage can come from rain, snow, hail damage, sleet, wind, and the hot summer months of sun drying out roofing material. 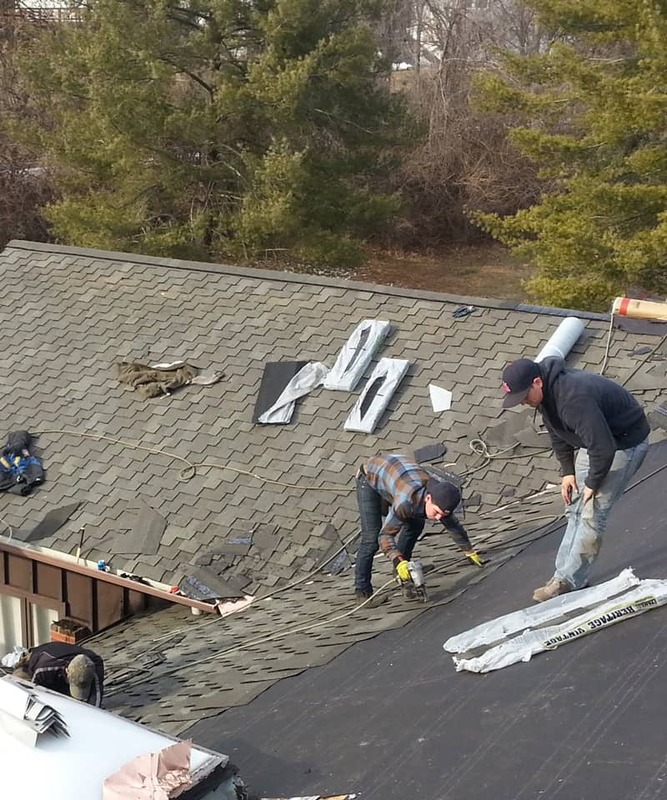 Our experienced roofers apply your roof properly and know the tricks of the trade that make a world of difference in having a home protected from the elements. You need a roofing company that cares and knows the trade inside and out. Frustrated dealing with your insurance company? Let us take over and communicate with them. We know what they need and how to get the best results. It's that time of year when home improvements are getting done. Let's get started with yours today. From basic three-tab to heavy-duty architectural shingles, your new roof will make a statement on your home or building. There's nothing like the look of a real cedar shake roof. They're beautiful, environmentally friendly, and energy-efficient. Whether you have a flat roof patio on your home or a large commercial roof, we have the products and installers to give you a leak-proof roof. Sometimes you don't need a whole new roof. 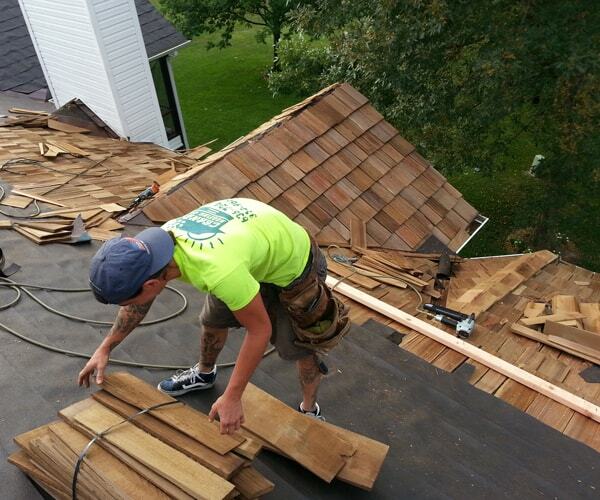 If a roof repair is all you need, we will take care of it...from missing shingles, leaking chimneys, and more. A quality roof will protect and beautify your home or building. 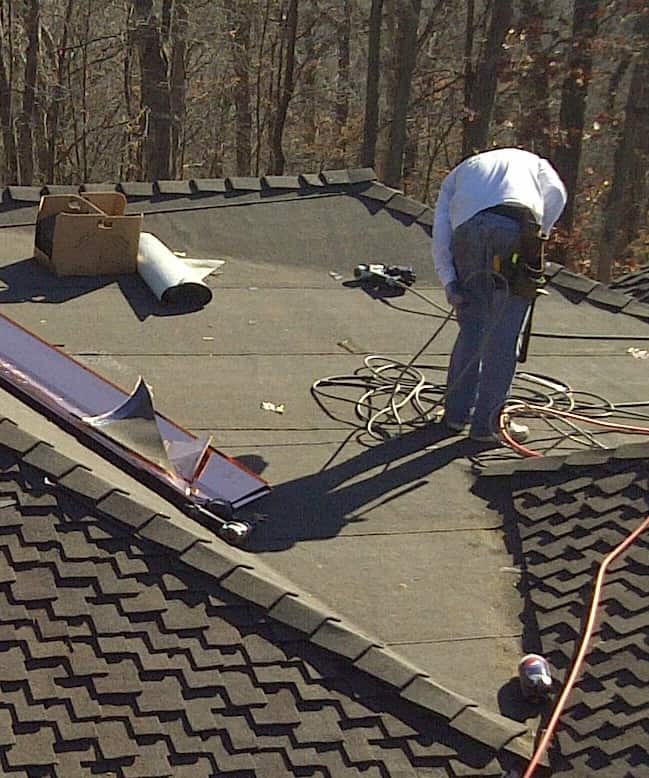 Our professional roofing company makes sure your roof is applied correctly and efficiently. We use only the best materials from trusted manufacturers like Tamko and GAF. Top-notch materials and expert installation of your roof not only protects but improves the appearance and value of your home. No matter what your roofing needs Crane Roofing is there to get the job done. What to look for in determining if you need a new roof. Ceilings are stained and starting to sag. Missing or broken shingles on the ground or surrounding your home. Shingles or starting to curl or buckle. 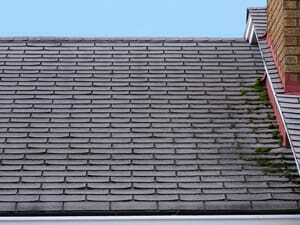 Discolored areas on your roof: moss or algae can cause rotting of roofing material. Flaking or peeling wood around the edges of your roof. The age of your roof: if your roof is over 20 years old and is starting to show wear it may be best to replace the roof before you pay for several repairs and have wood and interior damage. 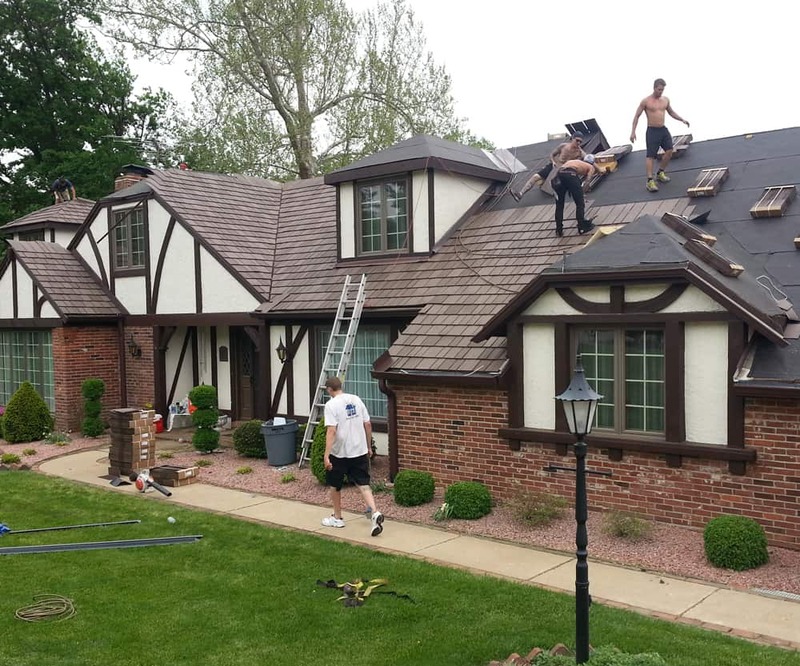 As a St. Charles and St. Louis roofing company we pride ourselves on providing the best materials and workmanship. We're born and raised in St. Louis, not some fly by night company that won't be there when you need us. We are a long-standing member of the Better Business Bureau. Our services as a St. Charles and St. Louis roofing company include residential roofs, commercial jobs, apartment roofing, and more. We provide all the added necessities too. If you need a new skylight, roof vents, ice shield, flashing, or more we literally have you covered. There's no reason to go elsewhere. We even provide siding, windows, and gutters. For more information or to schedule a free estimate contact us at 314-066-4889 or 636-724-1300.